Dr. Bank is very personable and competent. He explained the various types of treatment for my bone spurs. He and hisstaff are friendly and professional. Dr. Bank is very personable and competent. He explained the various types of treatment for my bone spurs. He and his staff are friendly and professional. I’ve been seeing Dr. Bank for a few years. Dr. Bank and his staff are always friendly and professional. My waittime was non existent. I highly recommend Dr. Bank for any of your foot/ankle problems. I’ve been seeing Dr. Bank for a few years. Dr. Bank and his staff are always friendly and professional. My wait time was non existent. I highly recommend Dr. Bank forany of your foot/ankle problems. Dr. Daniel Bank has been a practicing podiatrist in Orange County Since 1988. He completed his premedical education at U.C.L.A. and podiatric medical school at the California College of Podiatric Medicine where he graduated with high honors in recognition of his academic achievment. This allowed Dr. Bank the opportunity to complete his residency training in foot and ankle surgery with the country's most emminent podiatrists. Dr Bank is board certified in foot and ankle surgery by the American Board of Podiatric Surgery and is a Fellow of the American College of Foot and Ankle Surgeons. His philosophy of patient care is to treat problems with conservative non-surgical means when medically appropriate.When surgical treatment is necessary Dr. Bank utilizes techniques he has developed that minimize discomfort and speed recovery. Including a virtually pain free bunion correction. 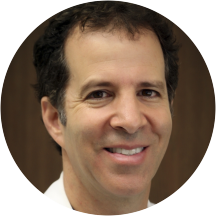 As a leading podiatrist Dr. Bank has been an associate clinical professor of podiatric sugery, and residency director at Orange Coast Memorial Hospital in Fountain Valley. He currently is Chairman of quality assurance and credentialing at the South West Podiatric Surgery Residency traing program. " My goal as a physician is to provide the highest quality care at all times. Part of meeting this standard is always taking the time to fully explain each patient's particular problem, treatment options, and fully answer any questions they might have" . I loved his approach to address my foot pain. My visit went very well, from check in to the Good Doctor and his care of me. Thank you, Dr.B! The visit went well. I would have liked the doctor to show me the x-ray and explain it. Whenever I have been to any medical doctors, chiropractors or dentists they always refer to the x-ray they took and educate me regardingwhat they see in the x-ray. I didn't have the privilege of seeing the x-ray. A copy would be helpful as I keep a health file at home. Normal visit, as was initial services. More medical attention would been preferred. Too was on the pricy side. Dr Bank was right on time. I haven't experienced that with a Dr for years. It was my first visit and everyone was wonderful! I look forward to my return visit. I'm hoping he will be able to help me! You will not be disappointed with Dr. Bank. First he is a wonderful human being. Next, he is a passionate medical doctor who cares about his patients. He pays attention and does everything possible to make sure his patients are satisfied.His office is super clean and he provides all the services you would expect for your feet. He is gentle and precise. If you have pain the come see Dr. Bank to get rid of your pain. You deserve a painless life and Dr. Bank has helped us so much. Pleasant, Dr. Bank was very knowledgeable and recommendations were very satisfactory for my needs. The only con was the wait before i was seen, had 9:0 appointment, arrived at 8:50 was not seen until 9:40. Dr. Bank is not just one of the world's smartest & kindest doctors EVER ----- he is equally a terrific human being ALL AROUND. We are fortunate to have him as part of our care team. Dr. Banks is a very nice guy and doesn't make you feel rushed while you're there. I also appreciate the fact that he tries to get to know you as not just a patient, but as a person. I would highly recommend him to anybody. Sensitive, Dr Bank and his staff are professional. My examination was complete, options were offered. Once a decision was made by me treatment began immediately. I walked in with a problem and out with a protocol giving me relief in thatmoment. Beyond that Dr. Bank Is an interesting person, his staff have smiles in their personalities. Had an ingrown. He performed the removal without fully removing the ingrown nail. Still have problem with the nail. Dr. Banks was very nice to my 90 year old mom who has very sensitive feet. He cut her toe nails and corns and gave her a toe sleeve with get which really helped her sore toe. I just wished hehad given her some cortisone cream but we got some from her dermatologist. We will be back to see him in two months for sure. Straight and to the point. Got exactly what I needed. Dr Bank is an excellent Podiatrist. The staff is very helpful as well. I definitely recommend Dr Bank to my friends who ever needs his assist. As a reader of a lot of internet reviews, for various products and services, I have learned that the only thing that truly matters is whether or not the person writing the review would recommended the product and or service andwhether or not they would use it again. So, yes. He has a very good way of explaining why custom orthotics are made and what they can do. Also, his explanation of shoes and what ones work for me vs other people, is just practical and helpful. He does not sugar coat topics and makes sure you understand. The doctor was really helpful and responsive. Very friendly, professional, and prompt. I would highly recommend to others. Dr Bank was professional and courteous. He clipped my 103 year old Dad's toenails and was efficient and the process was painless. Office staff was very kind. Good first visit with a physician who was easy to talk to and discuss the problem I presented with. I was happy with the whole experience. Doctor was friendly and professional! My first visit. Felt welcomed and found Dr Bank to be very warm, friendly and knowledgeable. So far, so good. I would definitely recommend Dr Bank to my friends & family, if needed. Great easy affordable experience, would go again anytime. Nice guy. fast to get in. love im able to make appointments online. This is the second time I have seen Dr. Bank but for a different problem. He has a pleasant professional manner and will take the time to answer my questions. His staff is friendly and competent.